Rich with history, Plainfield’s emphasis on education, health and fitness, jobs and affordable living bodes well for the future of this growing town. A new home in Plainfield. Plainfield’s rich history still permeates it today. The town was established in 1839 by Quakers, and the name Plainfield reflects the Quakers’ devotion to simplicity and “plainness.” The Quaker church is still very active in Plainfield, and Plainfield High School’s athletic teams are known as the Quakers and Lady Quakers. Built along the historic National Road (U.S. 40, which becomes Main Street through Plainfield), Plainfield’s historic town center, recently refreshed thanks to façade grants, is a welcoming spot within this community of more than 30,000. Today, Plainfield is well known in the Indianapolis area for its parks and trails. Six parks, all situated along White Lick Creek, are linked together by a series of trails, and Plainfield’s overall Greenway Plan intends to connect schools, libraries, business and residential areas with trails, sidewalks and paths. With its strategic location near the Indianapolis International Airport, Plainfield is also home to distribution centers for a wide variety of companies, including Walmart and Amazon. Housing is affordable, with most single family homes in the $100,000s and $200,000s, although a few communities offer higher price points. 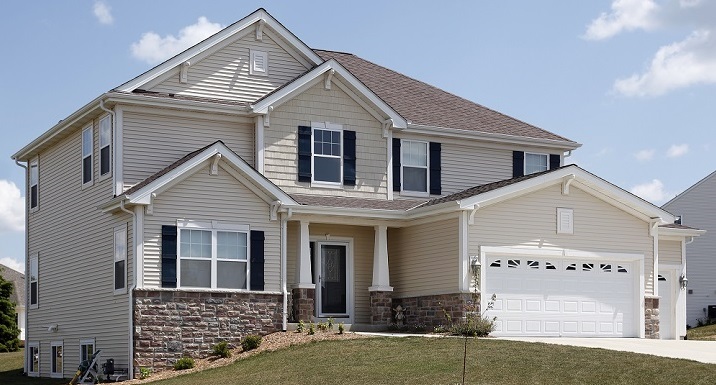 New construction can also be found, as builders work to meet the demand for Plainfield homes. Along with affordable housing, an excellent public school system makes living in Plainfield attractive for families. With all its amenities, including the Shops at Perry Crossing, big box stores, libraries and restaurants, Plainfield is quite self-contained. All that Indianapolis has to offer is just a short drive away, though! Travel through the Indianapolis International Airport frequently—it’s just 10 minutes away. Don’t mind a 30-minute commute to downtown Indianapolis. Want easy access to I-70. Love the outdoors and the idea of accessing a variety of nearby parks and trails.